Long Way Around Seven: Ecuador: ¿Donde esta la gringa? We said our goodbyes to Max and Wiktor and at 6am the next morning we were at the Baños bus station to catch a bus to Guayaquil and then to Montañita. The bus to Guayaquil came but didn't come at the same time. While we were at the bus stop a bus arrived so we ran over to it, there was no Guayaquil sign in the front window (red flag number one) but it had to be our bus. The ticket guy didn't even know if the bus stopped in Guayaquil (the second largest city in Ecuador, red flag number two). The bus driver got on his phone and started calling people (red flag number three). As we got on the bus with our backpacks on the whole bus was full of Ecuadorian people sleeping. Our seats were filled with a sleeping family (red flag number four). As the bus took off and Laura and I started to panic as we didn't want to stand in the aisle for the next seven hours. I started yelling "pare pare" to the bus driver. I think this means stop - it is on all the stop signs. We got off the bus and walked back to Baños. This day turned into a 15 hour travel day. 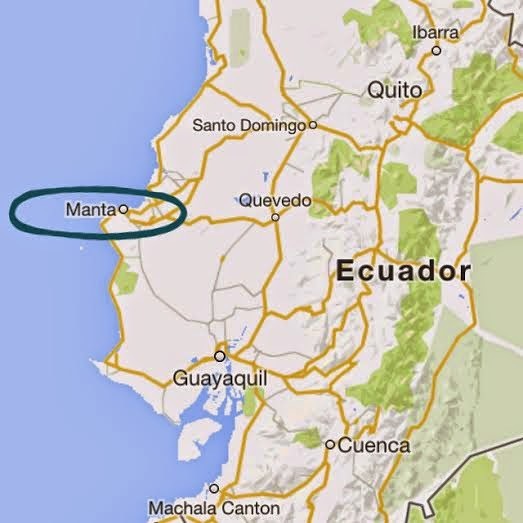 We took a three hour bus back up to Quito and then a ten hour bus to Manta. Lonely Plant described Manta as a fishing village. Laura and I thought that meant cute fishing boats bobbing in the ocean and quaint bistros with the catch of the day. We arrived in Manta at 10pm. The hostel was disgusting and the city was gross. Small fishing village by Lonely Plants standards is code for don't go there, we are learning. 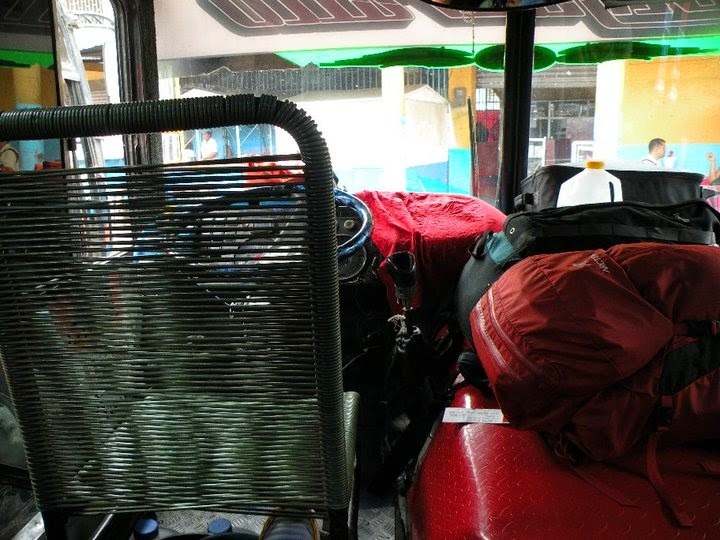 After propping a chair under the door knob we left the next morning and took a bus to Puerto Lopez. The hostels there were empty and after last nights experience we wanted some fellow backpacking company. We ran back to the bus station and got on the same bus to Montañita. People, finally! We are staying at Tiki Limbo Surf Hostel. The beds are comfortable and the showers are hot. * The title of this blog came from a bus stop on route to Manta. At one of the stops along the way I got off the bus to use the restroom. As I got back on the bus Laura had a worried look on her face. The driver was saying, "¿Donde esta la gringa?" (where is the white girl?). The bus was going to leave without me!